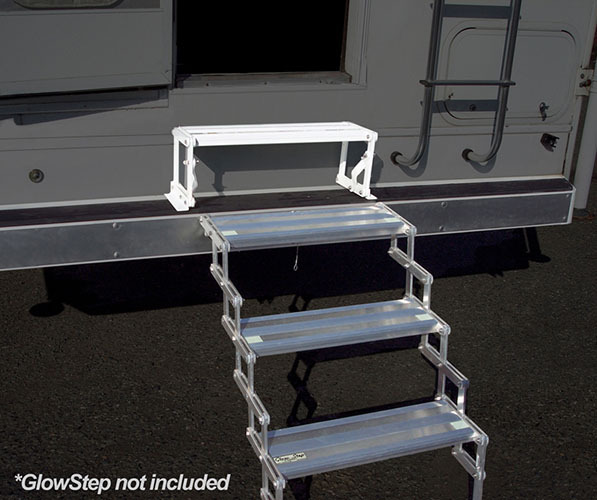 The Basement Camper Step ensures safety when entering and exiting basement model truck campers. It reduces the 14" gap commonly found between the bumper and entry door. This 8-inch tall step folds up and down, glows in the dark and is high impact powder-coated white. 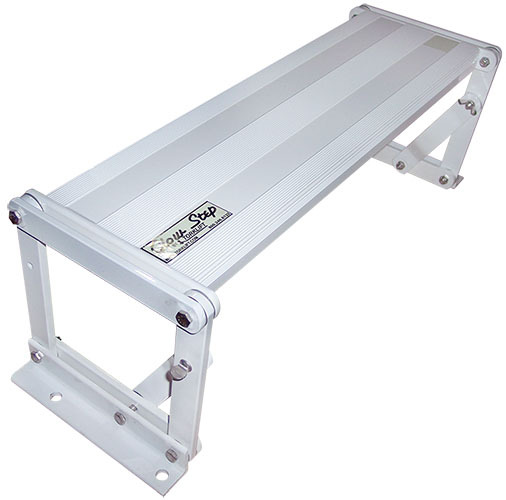 The Basement Camper Step is composed of aircraft grade aluminum, has a Legendary Lifetime Warranty and is proudly made in the USA.